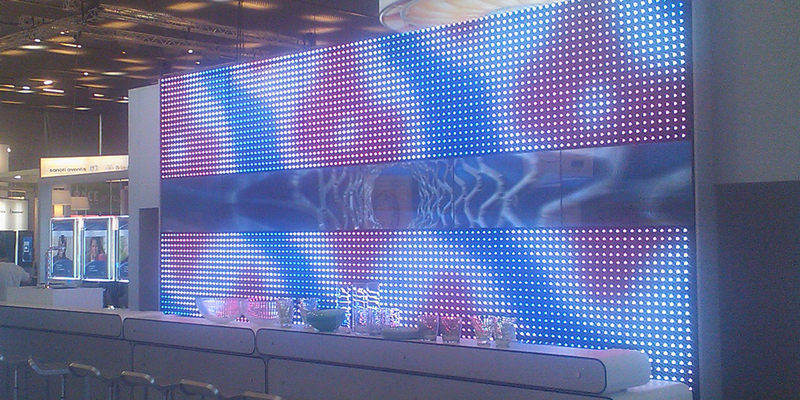 Modular video effects display for retail, hospitality and architectural environments. 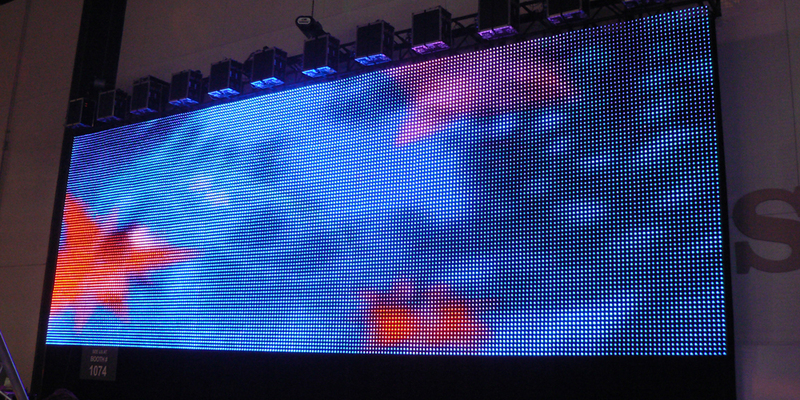 KiboWorks's LED X16 Gridz system is a modular video solution that utilizes the latest developments in LED technology. 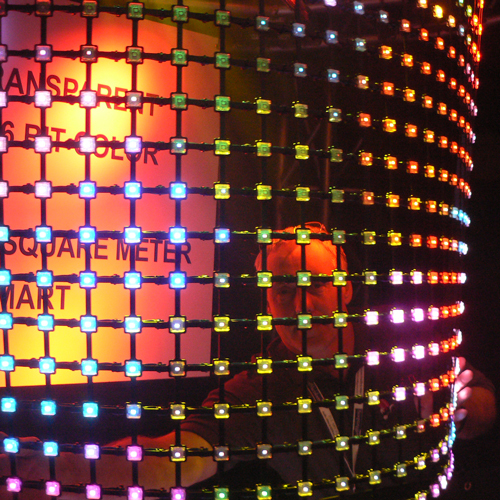 The mesh structure offers a unique transparent quality that allows you to see objects behind it such as a projected image, a backlit image or a theatrical set, causing the mesh to seem as though it has disappeared. The modular nature of the design allows for individually addressable pixels, controllers and panels to have optimal flexibility in the configuration of any display or video project. Configure your own media wall with panel size 1016mm x 1016mm (40? x 40? 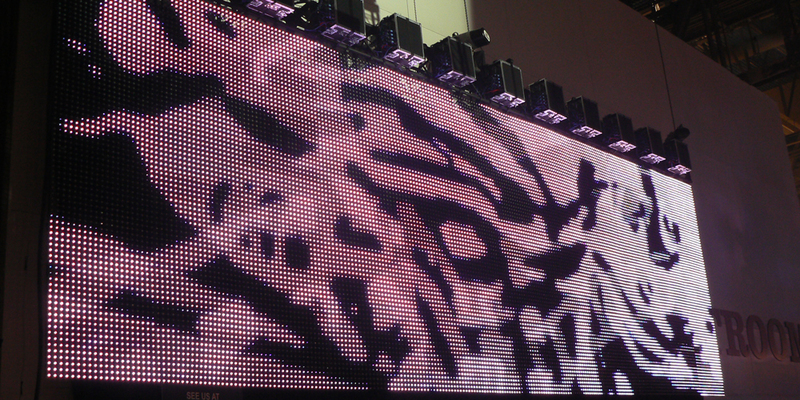 ), holding 400 LEDs, respectively, allowing you to build a video wall of almost any size and shape. 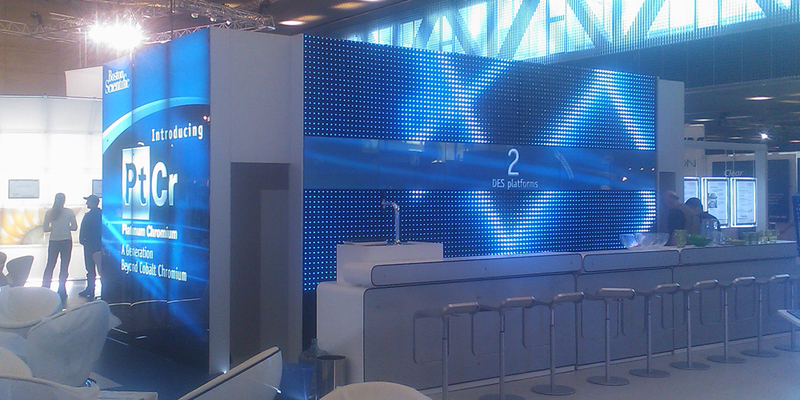 Lightweight and with a unique self level and centering hook and clip mounting system, Panels of X16 Gridz can be configured in any free form shape desired and has been used in many installations throughout the world, creating amazing displays in architectural, retail, and hospitality environments. X16 Gridz can be controlled by DMX, ArtNet, sACN and Stream and our protocol translators can adapt to handle any protocol.